Halloween is fast approaching, and while many MMO’s are celebrating in their own way with in-game events and themed enemies and items, Dragon Quest Heroes doesn’t have to add anything to have monsters, and they aren’t all scary either. 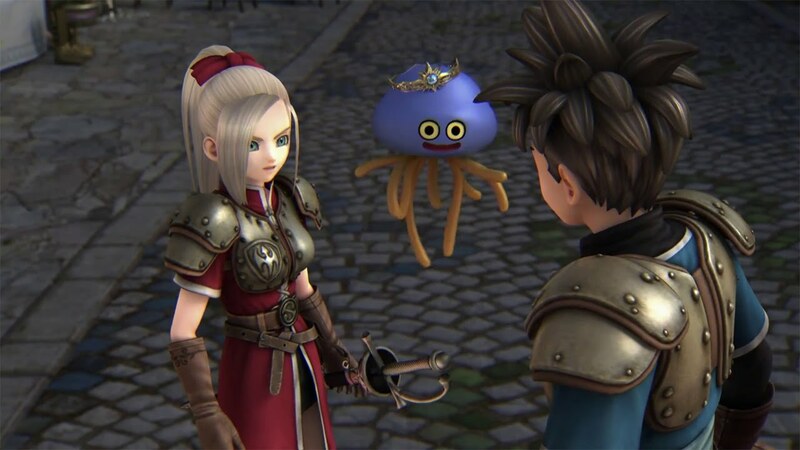 Dragon Quest Heroes has the monsters you’re looking for. And these creatures run the entire gamut from cute to fearsome, representing the full spectrum of what a monster can be. A monster is broadly defined simply as a creature from legend, being something that’s supposed to produce fear by its appearance or action. That doesn’t necessarily mean that there aren’t such creatures that exist that are fearful on a different level. Though cute and cuddly (looking) beings are just as ferocious as any sort of of wretched beast from the darkest parts of our imagination. Or, they can be. One within Dragon Quest Heroes is actually beneficial, despite being closely related to another more gruesome family of fiends. Check out the infographic below that shows you a good selection of interesting monsters in the Dragon Quest Heroes universe. Dragon Quest Heroes is available on the PS4 now for $59.99. Square Enix is even using it as a test bed to see if traditionally Japanese only titles do well in the West.